Developer pureness is what we should all strive for. 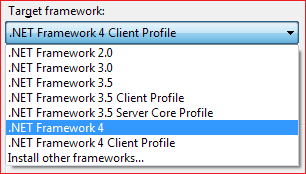 Visual Studio must display version number of 4.0 instead of 4 in RTM. It needs to display major and minor number of the new framework coherently with 2.0, 3.0, 3.5. Otherwise my compulsive disorder kicks in.